To understand the United States’ stratagem in the Pacific, and against North Korea in particular, one has to understand the fundamental changes that are under way in that region. China’s clout as an Asian superpower and as a global economic powerhouse has been growing at a rapid speed. The US’ belated ‘pivot to Asia’ to counter China’s rise has been, thus far, quite ineffectual. The angry diplomacy of President Donald Trump is Washington’s way to scare off North Korea’s traditional ally, China, and disrupt what has been, till now, quite a smooth Chinese economic, political and military ascendency in Asia that has pushed against US regional influence, especially in the East and South China Seas. Despite the fact that China has reevaluated its once strong ties with North Korea, in recent years, it views with great alarm any military build-up by the US and its allies. A stronger US military in that region will be a direct challenge to China’s inevitable trade and political hegemony. The US understands that its share of the world’s economic pie chart is constantly being reduced, and that China is gaining ground, and fast. The United States’ economy is the world’s largest, but not for long. Statistics show that China is blazing the trail and will, by 2030 – or even sooner – win the coveted spot. In fact, according to an International Monetary Fund report in 2014, China is already the world’s largest economy when the method of measurement is adjusted by purchasing power. This is not an anomaly and is not reversible, at least any time soon. The growth rate of the US economy over the past 30 years has averaged 2.4 percent, while China soared at 9.3 percent. It is no wonder why Trump obsessively referenced ‘China’ in his many campaigning speeches prior to his election to the White House, and why he continues to blame China for North Korea’s nuclear weapons program to this day. As a business mogul, Trump understands how real power works, and that his country’s nuclear arsenal, estimated at nearly 7,000 nuclear weapons, is simply not enough to reverse his country’s economic misfortunes. In fact, China’s nuclear arsenal is quite miniscule compared to the US. Military power alone is not a sufficient measurement of actual power that can be translated into economic stability, sustainable wealth and financial security of a nation. It is ironic that, while the US threatens to ‘totally destroy North Korea,’ it is the Chinese government that is using sensible language, calling for de-escalation and citing international law. Not only did fortunes change, but roles as well. China, which for many years was depicted as a rogue state, now seems like the cornerstone of stability in Asia. Prudent US leaders, like former President Jimmy Carter understand well the need to involve China in resolving the US-North Korean standoff. In an article in the Washington Post, Carter, 93, called for immediate and direct diplomatic engagement with North Korea that involves China as well. A few days leader, Chinese foreign ministry spokeswoman, Hua Chunying, quoted Carter’s article, and reasserted her country’s position that only a diplomatic solution could bring the crisis to an end. He alleged that North Korea has violated these agreements even “before the ink was dry”, finishing with the ominous warning that “only one thing will work!”, alluding to war. Trump is a bad student of history. 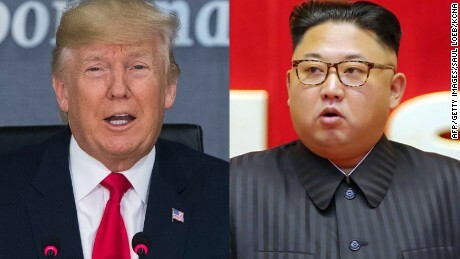 The ‘agreements’ he was referring to is the ‘Agreed Framework’ of 1994, signed between President Bill Clinton and Kim Jong-il – the father of the current leader Kim Jong-un. In fact, the crisis was averted, when Pyongyang respected its side of the agreement. The US, however, reneged, argued Fred Kaplan in ‘Slate’. It took North Korea years to react to the US and its partners’ violation of the terms of the deal. In 2001, the US invaded and destroyed Afghanistan. In 2003, it invaded Iraq, and actively began threatening a regime change in Iran. Iraq, Iran and North Korea were already blacklisted as the “axis of evil” in George W. Bush’s infamous speech in 2002. More military interventions followed, especially as the Middle East fell into unprecedented chaos resulting from the so-called Arab Spring in 2011. Regime change, as became the case in Libya, remained the defining doctrine of US foreign policy. This is the actual reality that terrifies North Korea. For 15 years they have been waiting for their turn on the US regime change path, and their nuclear weapons program is their only deterring strategy in the face of US military interventions. The more the North Korean leadership felt isolated regionally and internationally, the more determined it became in obtaining nuclear devices. This is the context that Trump does not want to understand. US mainstream media, which seems to loathe Trump in every way except when he threatens war or defends Israel, is following blindly. Current news reports of North Korea’s supposed ability to kill “90% of all Americans” within one year is the kind of ignorance and fear-mongering that has dragged the US into multiple wars, costing the economy trillions of dollars, while continuing to make bad situations far worse. Indeed, a recent Brown University Study showed that, between 2001 and 2016, the cost of wars in Afghanistan, Iraq, Syria and Pakistan has cost the US $3.6 trillion. Perhaps, a better way of fending against the rise of China is investing in the US economy instead of wasting money on protracted wars. But if a Trump war in North Korea takes place, what would it look like? US Newsweek magazine took on this very disturbing question, only to provide equally worrying answers. “If combat broke out between the two countries, American commanders in the Pacific would very quickly exhaust their stockpiles of smart bombs and missiles, possibly within a week,” military sources revealed. Both Trump and Kim Jong-un are unsavory figures, driven by fragile egos and unsound judgement. Yet, they are both in a position that, if not reigned in soon, could threaten global security and the lives of millions. Calls for diplomatic solutions made by Carter and China must be heeded, before it is too late.